The parish where I grew up, St. Lawrence Church at Otter Creek, was served by one of the first deacons to be ordained in the Archdiocese of Dubuque. By the time Deacon Eugene Bassler served at St. Lawrence, I had moved away from home. But I remember my family talking about the help that Deacon Gene provided their elderly pastor, Father Francis Houlihan, by assisting at Mass and helping with wake services, baptisms and funerals. That was my first experience of the impact of the decision of the Second Vatican Council to restore the permanent diaconate. I first considered a call to the diaconate while serving as principal at St. Joseph School at Sinsinawa, Wisconsin. 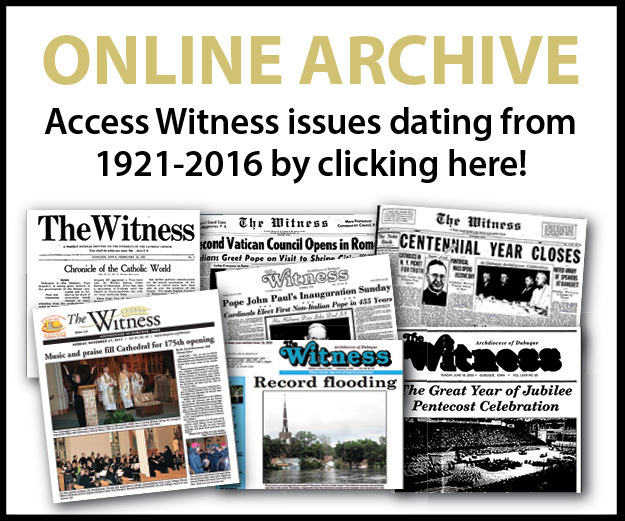 At the time, the Diocese of Madison was just starting a diaconate formation program. As a principal of a rural school, the calling presented itself as a way to help the parish in new ways. There were people at that parish that asked me to consider the call. How­ever, the time was not right, and I dismissed the call and moved on. My next job after Sinsinawa was at Shalom Retreat Center as marketing and public relations director. 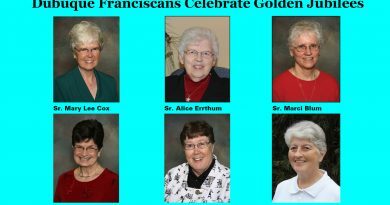 It was wonderful to work for and with the Franciscan Sisters, and I was very comfortable in my position. But several things began to convince me that God wanted me to take a call to the diaconate a bit more seriously. First, I became good friends with several deacons. I joined St. Anthony Parish, and met Deacon Bill Mauss. We served on the RCIA team together. Deacon Dave McGhee was a teacher of one of my college friends who I met while working at Shalom, and Deacon Frank Dunne was my realtor when I bought my house in 2001. I admired the work these men did in serving others, and I wanted to imitate them. Frank introduced me to Deacon Tom Lang, who was just beginning his position as director of the permanent diaconate in the archdiocese. Tom asked me to seriously consider joining the next class that was being formed. The biggest obstacle to listening to God’s call was my feeling that after almost three decades of taking classes, training sessions and recertification courses for various jobs I held, the very last thing I wanted to do was commit to a four-and-a-half-year program of study to become a deacon. But, with the encouragement of family and friends and my pastor, Father Dan Knepper, I made a deal with God. I would take the program just one semester at a time, with no long-term commitment. I would ask for the grace to get through six months at a time. If God truly wanted me to become a deacon, I would take the program in small doses and see where it led. I had great classmates. I admired the ded­ication of the wives who participated in every class throughout the four and a half years of diaconal formation. I especially remember the countless Saturday trips I shared with classmates David and Susan Brinkmoeller as we carpooled to and from classes in Waterloo. At one point, we calculated the total number of miles we traveled together. It came close to a full trip around the earth. Deacon Len Froyen was our guide dur­ing those four years. Len challenged us and encouraged us by his example, and his wife, Gail, was frequently involved in important events as we moved forward. One special memory during formation was when one of the couples gave birth, and Len baptized their daughter in a ceremony we all attended. It was a very special opportunity to witness our leader exercising a faculty that we as deacon candidates hoped to someday be granted. God saw me through the program, and I was ordained in October 2007. At the time of ordination, I was working as business manager for my parish, St. Anthony’s. Within a month, I discovered that God had some additional plans for me. During formation, candidates are encouraged to engage in a variety of service activities within and outside their parishes that help them to discover things they might have a passion or a special talent for. One activity I found fulfilling and inspiring was serving on a team of volunteers that ministered to Anamosa State Penitentiary. The men there were so appreciative of our presence, and their attempts to understand and follow the teachings of the church were inspirational. 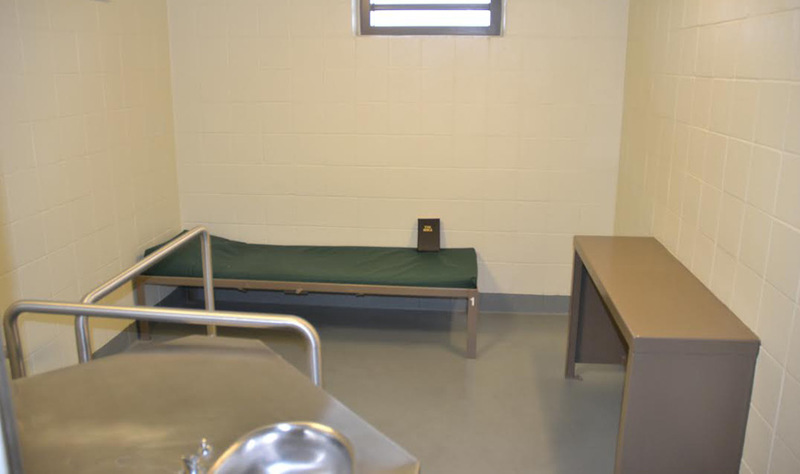 A month after my ordination, Catholic Charities was taking applications for someone to administer the new position of coordinator of Jail & Prison Ministry. 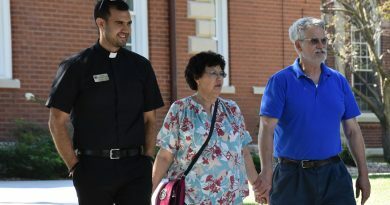 Up until this time, deacons like Ed Weber from Waterloo and Bill Biver from Dubuque had managed the visitation and reentry programs as volunteers, in addition to their regular jobs. The program had experienced such growth that a full-time coordinator was required. I applied and was fortunate to have been chosen for this position. Jail & Prison Ministry has unique challenges. Progress is never measured in a straight line. Human nature does not work in straight lines. Progress is often two steps forward and one step back. Our ministry has experienced great growth, thanks to many volunteers answering God’s call to help as visitors, mentors, and Circles of Support and Accountability members. I repeatedly hear from volunteers how they feel they receive so much more than they give. They teach a lot about the challenges that people with addictions face. They are inspired by the faith they see in inmates, who have responded to God’s challenge for them to help fellow inmates experience God’s forgiveness and mercy. We mourn when our brothers and sisters suffer setbacks in dealing with addictions and are not successful in dealing with the corrections system. Common thinking is that anyone in jail, prison or on parole deserves whatever punishment we can give him or her. Restorative justice, a concept embraced by the U.S. Catholic bishops, calls on society to a better response to crime and punishment. It asks all of us (the community, the corrections system and offenders) to work together to heal the harm done by crime and eliminate the conditions that lead to crime. Restorative justice challenges us to address issues of poverty, addiction, and disregard for human life and dignity in order to solve the problem of crime. While it is a daunting task to reform our society, service to the most vulnerable of society is the first job of deacons, while working for societal change is a close second task. When it comes to the issue of criminal punishment, we are inspired by the simple example of a man suffering the death penalty, who gave dignity to his fellow prisoner on a nearby cross by forgiving him, offering him mercy and inviting him to paradise. As we celebrate the 40th anniversary of the restoration of the permanent diaconate in the Archdiocese of Dubuque, I thank God for calling me to this work. Like so many volunteers in Jail & Prison Ministry that work with me, I receive so much more than I give. Deacon Bill Hickson is coordinator for Jail & Prison Ministry for the Archdiocese of Dubuque. 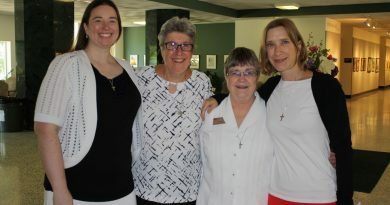 For more information on the deacon’s 40th anniversary celebration go to www.DBQArch.org/Deacon40.